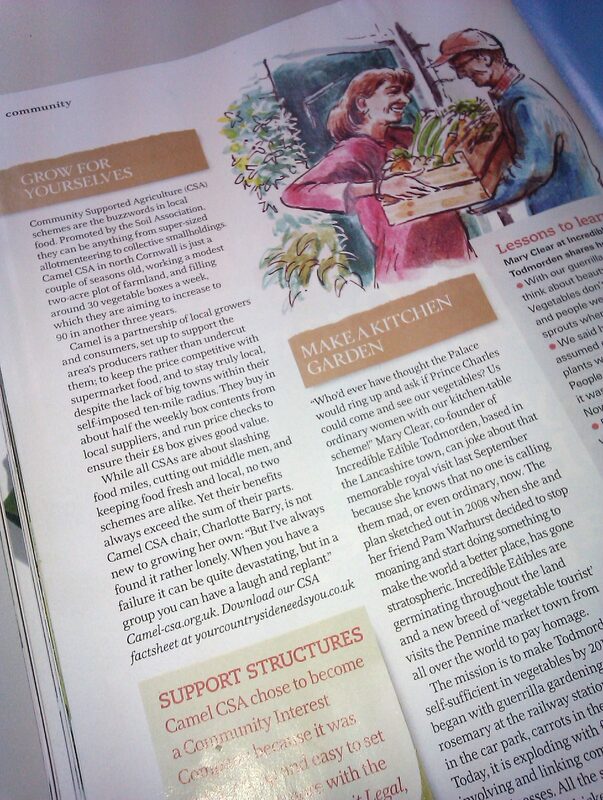 Community supported agriculture schemes are the buzzword in local food… no two schemes are alike. Yet their benefits always exceed the sum of their parts. The article explains what Camel CSA does and includes us in its list of useful contacts. It’s all part of the magazine’s Your Community Needs You campaign, which wants to harness the groundswell of support for local food and regional producers. There’s still time to apply! The closing date for applications for Camel CSA’s new post of partnership development coordinator is Tuesday 26 April. We’re looking for a very special person who can create community links for us in north Cornwall. S/he will build up partnership agreements with schools, charities and special interest groups. 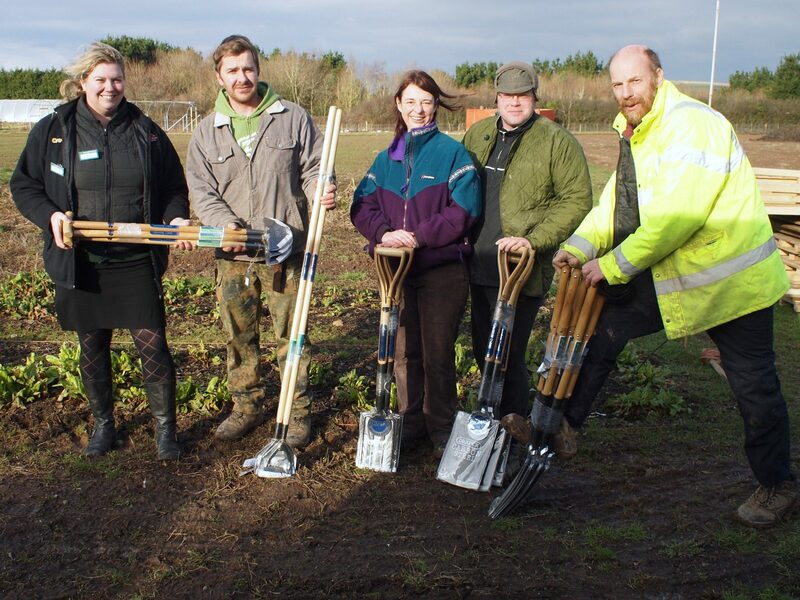 They’ll also arrange group training visits to our two-acre vegetable plot at St Kew Highway near Wadebridge. We’ve marked Fairtrade Fortnight with the launch of our new carbon-zero standard-size veg hampers. This follows a lengthy search for sustainable veg box containers. After a successful trial, we’re now offering these biodegradable jute hampers to our members. 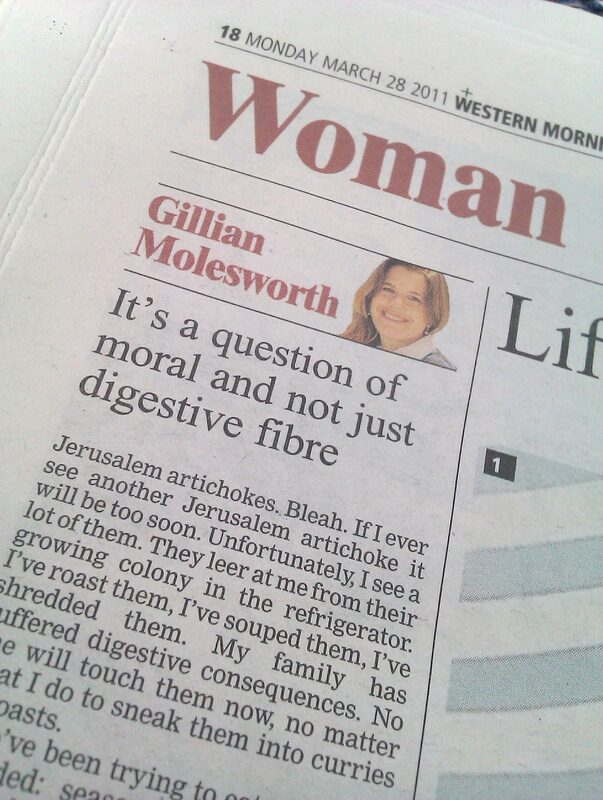 We’ve purchased them from GoJute, a local firm based in St Austell, which operates to strict ethics. These hampers will replace the assortment of boxes that are used at the moment. They’ll make the picking and packing sessions a lot more efficient as well as being very practical and good-looking. They’re lined and have sturdy bamboo handles. 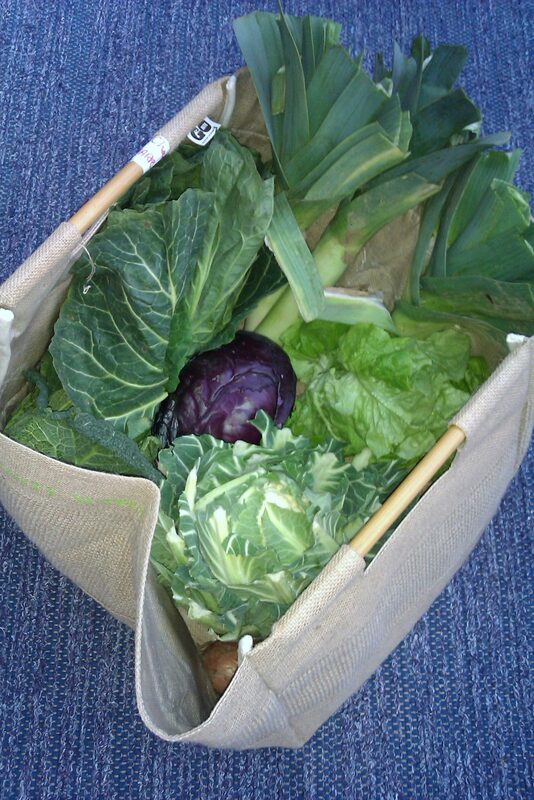 As soon as we receive your order, your next weekly veg share will arrive in your new hamper. The bags are available to standard box customers for the cost price of £5.95 each, or two for £11.90. It’s a returnable deposit, provided the hampers are handed back to us in good condition. 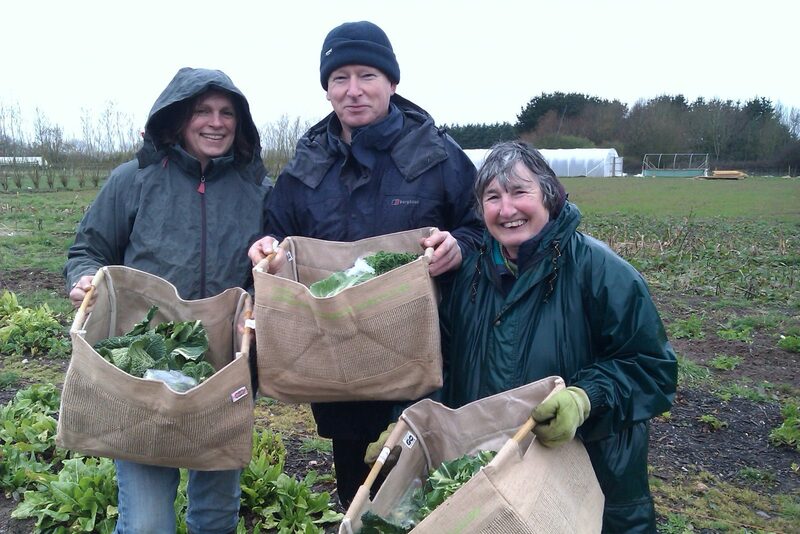 Members will be able to leave an empty bag in the packing shed for when they pick up their veg the following week. Small vegetable box customers will get this offer at a later date. Regrettably, our consignment of small jute hampers is stuck on the high seas after a maritime collision (you couldn’t make it up!) on the voyage from India. 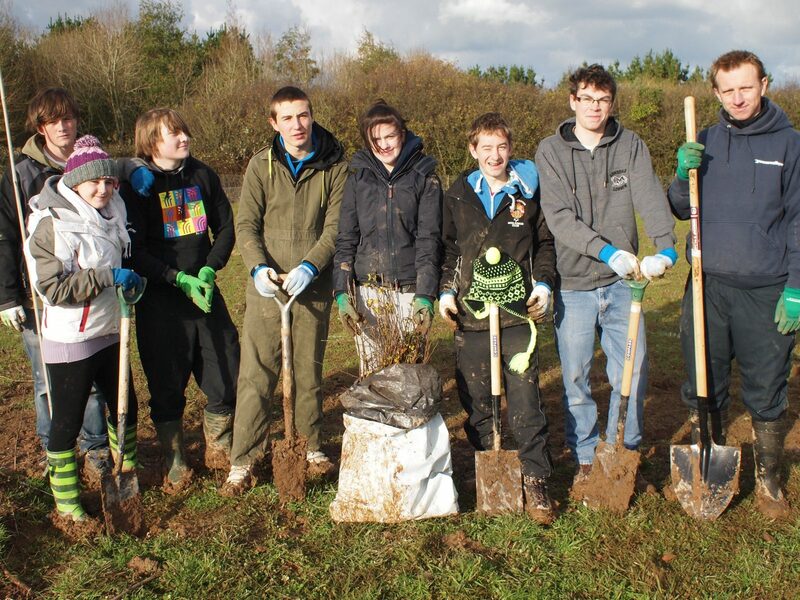 Vocational students from Wadebridge School dug in and planted hundreds of native hedgerow plants for us around our veg plot. The Year 11 students enduring freezing conditions on the day that early snow fell in parts of Cornwall. 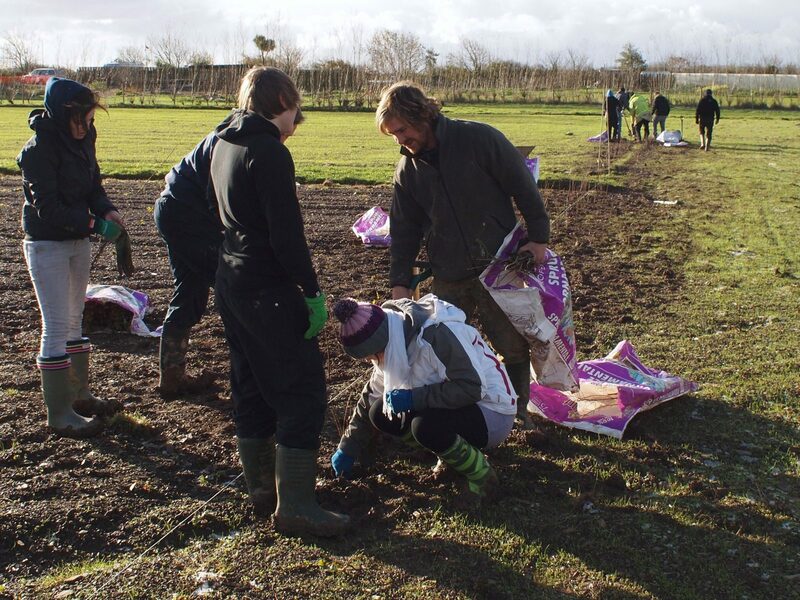 Under the guidance of Camel CSA’s professional growers Jeremy Brown and Mark Norman, the students planted mainly hawthorn with hazel, guelder, blackthorn and dog rose. These will provide a haven for wildlife and shelter from the Cornish gales. The 15-16-year-olds are following a mix of vocational pathways from agriculture to mechanics. 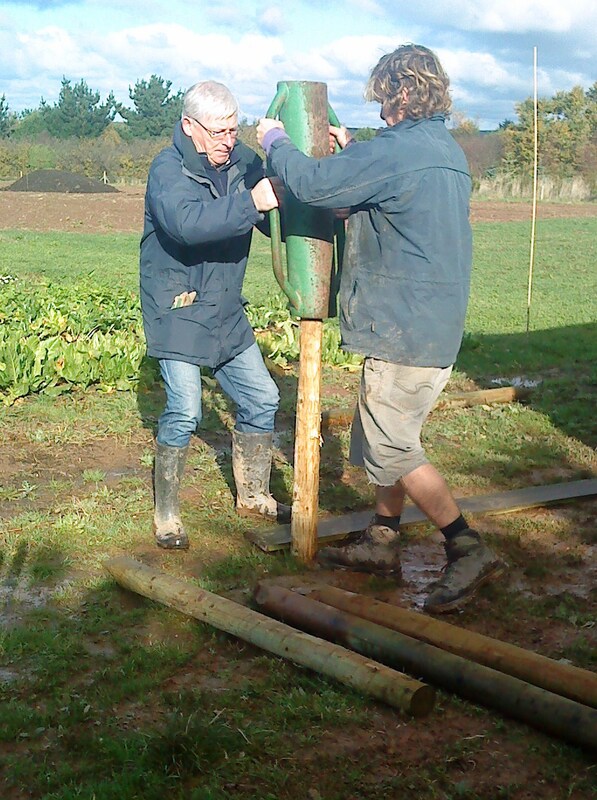 They’re already helping to develop the school’s own veg plot on the Wadebridge allotment site. 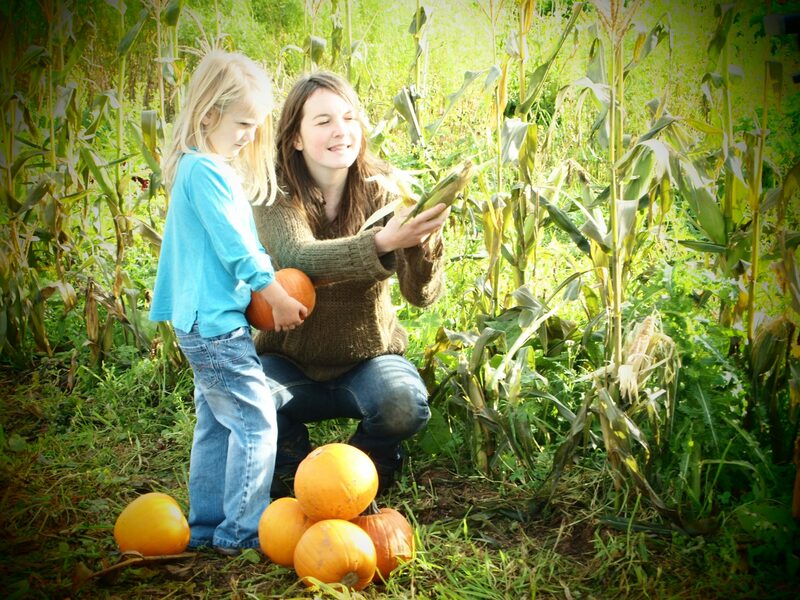 Youngsters hedge their bets with a day on the land – Cornish Guardian. Camel CSA’s own volunteer growers have also been busy constructing a sturdy rabbit-proof fence to protect the hedge plants and to keep the bunnies and other predators off our vegetable crops. There’s been lots of media coverage about our Lottery and ECLAG grants over the past few days. 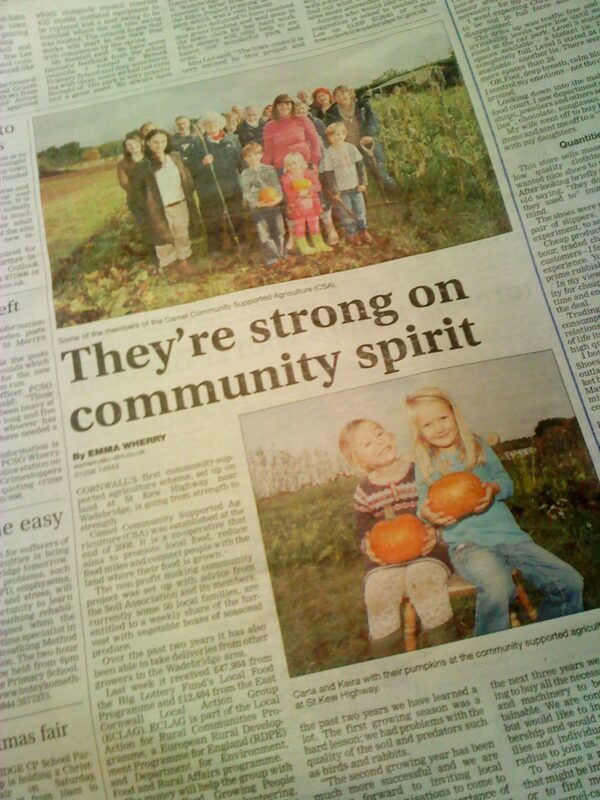 Our pioneering work as a community supported agriculture project in north Cornwall makes a feature in the Western Morning News today. 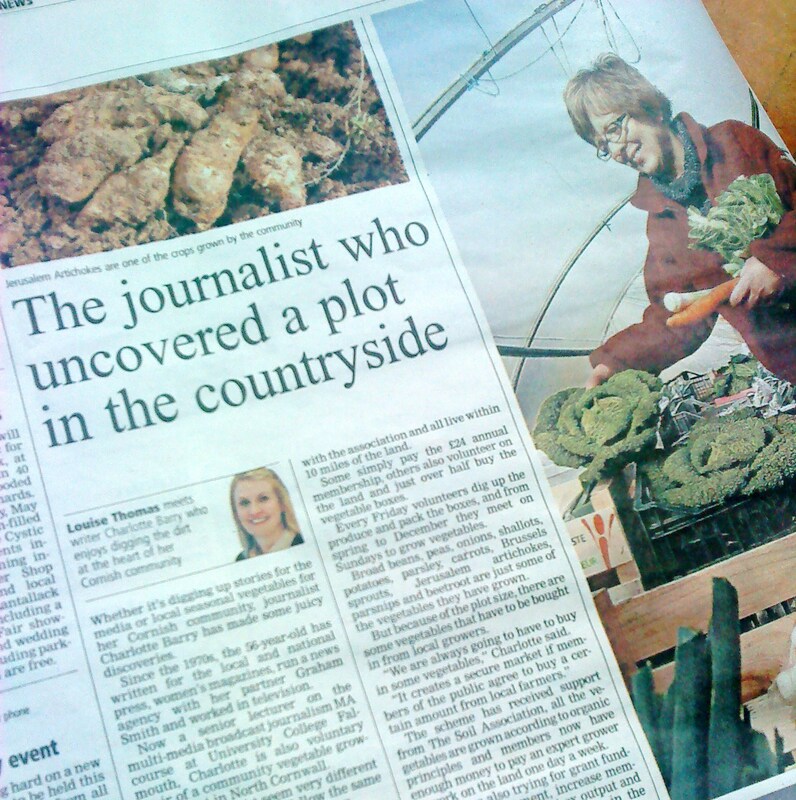 We’ve had another mention in the Western Morning News – this time in its Woman section. “I highly recommend it. You get the gardener’s satisfaction of digging and weeding and picking … and you get to take home a weekly vegetable box that you didn’t have to grow all yourself. 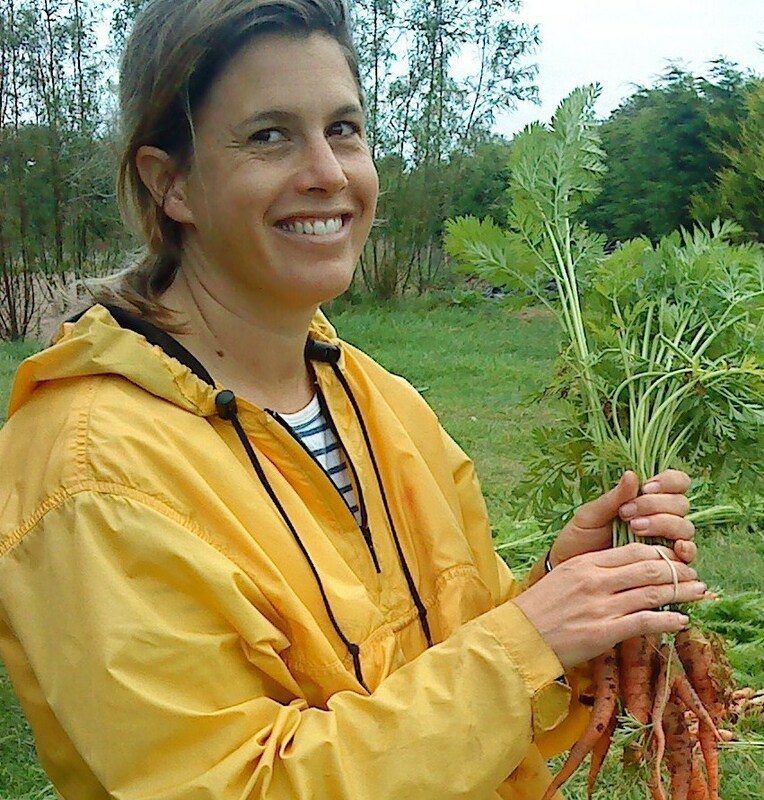 You get to eat seasonally and locally, and even if there’s a permanent cloud sitting overhead waiting to rain on you when you start digging up carrots, at least you can complain about it to some fellow volunteers, instead of suffering in lonesome silence.